To ensure our future emails reach your inbox, please add the domain @stacksports.com to your safe sender list. In the meantime, please reach out to clubandleaguesupport@ussoccerconnect.com with any questions you may have. Teams who are switching leagues for the Spring season will register to the spring league in the system, but will continue to be affiliated with the fall league. The fall league will continue to process cards and revised rosters for any new players that are added to the team. What is the difference between Stack Sports and US Soccer Connect? The suite of products offered by Stack Sports will include Association Connect, Club and League Connect, Team Connect, Officials Connect, and U.S Soccer Connect. Whether you use our Association, Team, Club/League or Tournament solution, Stack Sports will offer you the same great sports management and registration features with a much-improved user experience and ease of navigation. How will State player fees be handled? In Stack? No. Not for the 2018/19 Season. This is something we hope to have enabled for 2019/20. Fees will be paid by the leagues for the 2018/19 Seasonal Year, as in years prior. 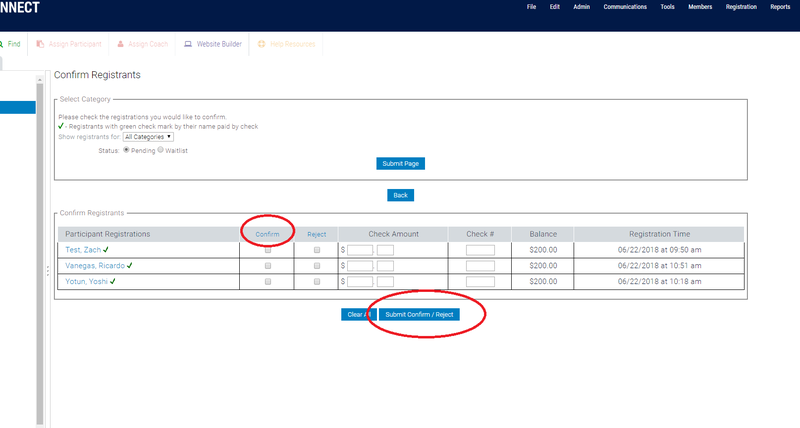 What information is needed to gain access to US Soccer Connect software and why do I need to complete a deposit account form if I don't plan on using Stack for payment processing? To complete the paperwork portion of the onboarding process, Stack Sports needs clubs to complete the electronic signature on the software license agreement and the deposit account information. Stack Sports will be providing services to you, the club, that establishes a business relationship. Those services include hosting content online, data security, online software tools and more. Club account information is collected to ensure proper handling of compliance and our fiduciary responsibilities to you. How do I get access to my software? If you are a club or league, email Joe Gould at Ohio South (gould@osysa.com) to get information. If you are a parent, contact your club or league. After your club has turned in the documents needed, you will receive an email from the Stack Sports on-boarding specialist to schedule a call/online meeting. You will receive access during the call and go through the setup/training one-on-one with the specialist. The process will be slightly different for Travel Programs and Recreation programs. The software is designed to handle both programs and much more. Can I run tryouts in Connect (Stack)? Do I have the ability to charge fees and how will it work? Yes you can easily set up a Tryout Event. Utilizing this type of event allows players to register for tryouts (with or without a fee) and be placed on a team. Once assigned to a team within your club, you will select the Notify Assigned button in the Assign Participant screen which will send an email to the registrant linking them to their member account to accept or reject the team placement. Once they click accept from their account, the base fee will be applied to the account balance for members to pay or sign up for an installment plan, depending on the payment options you allow. Where can I find step by step screen shots on setting up my registration event? If I have a US Soccer Connect family account under my email, can I still use that email as a club administrator? Note: fees are assinged by age group. Not by team. Auto-confirmation is a club approval process that occurs before players and coaches are sent to the league to be verified or have a background check conducted on them by Ohio South (coaches only). Stack Sports recommends turning auto-confirmation on for players and off for coaches. All coaches must register online to agree to the background check. Clubs will need to verify that they want that individual to coach for their club before he/she is sent to the state. This places coaches in a pending state when they register until the club confirms them. Confirming coaches requires a club administrator to check off the box next to his/her name and clicking on the submit button. What is a success page? A success page is the last message a parent sees during the online registration. This is an opportunity for a club to give step by step directions on how to upload a child's photo and birth certificate. US Soccer Connect has created a template for you to use to help. Please contact US Soccer Connect (866-892-0777 or clubandleaguesupport@ussoccerconnect.com) if you do not have a success page loaded in your player registration event. Can I put coaches in a separate folder, unrelated to gender and age folders? Yes. This is recommended and will make managing your coaches much easier. Coaches will register into one pool. Coaches can be rostered to as many teams as needed. Contact the club's on-boarding specialist or Stack Support if you need help with the set-up process. Once a player or coach completes the registration, can that record be deleted prior to it being accepted by the club/league? Records cannot be deleted. You can 'reject' the player or coach and they will not show up as an available participant when rostering, on emails or on reports. They will only show as a record on the Find Player view. How do player/coach photos get on player cards? US Soccer Connect utilizes digital photos uploaded through the member account. For step by step directions, refer to this pdf: Use Member Account to Upload Photo/Birth Certificate. How do I find my registered players? To find players, click on your event and find the Registrants tab. On that page, you will see a yellow button with a magnifying glass called 'Find Player'. Click it. It will default you to a list of all your participants, which are what the system calls your players. When you click on a player, there will be an Action button called 'Re-Register'. Click that and follow the prompts to move a player. What if a player is playing up? How do they register? A club can either expand the age setting so players can register to an older category, or can tell the players to register to their correct age category. If you decide on the latter, the Club Administrator can move them to an older category by using the yellow Re-Register button inside a players profile and follow the prompts. If you decide to expand the age groups, this can be done by expanding your age group settings to include the players with the youngest birthdate. For example, if you have a 2002 playing up on a 2001 team, your age group settings for the 2001's should be from 1/1/2001 to 12/31/2002. Age group settings can be edited when you click on your event (green calendar) and find the blue Edit Age Settings link near the center of the page. You can also edit these setting by expanding your tree and clicking on an age group. To the right, you will see your current age settings. What does the green Move Assignment button do inside a players profile? This allows you to move a player from one category to another, if necessary. For example, if you have a U13 boy you would like to assign to a U13B team, you can click this button then click the correct team for the player, and it will move them. My players/coaches are registered but when I use the Assign Participants/Assign Coach button to place them on a team, none of them are showing. Where are they? They are there, don't worry! Your players have not been confirmed by you. In order for players and coaches to show as available to be placed on a team, they must go through confirmation first. The reasoning behind this pertains more for clubs who are collecting fees, as this is a way to confirm players who are paid up and get a look at who still owes the club. However, even if you aren't collecting fees through Stack you are still required to go through this process - which again could be useful if you decide to take this as an opportunity to make sure the photo and birth certificate uploads will meet the league requirements. 1. Click on your event (green calendar). 2. Click on the Registrants (to confirm players) or Coaches/Volunteers (to confirm coaches) tab. 3. Find the red Confirm Players button (towards bottom right). Click it. 4. On the Confirm Registrants page, click Submit Page. Status should be on Pending. 5. A list of all unconfirmed participants will show. You can either select all by clicking the blue Confirm word, or click the box next to each player one by one. Then hit the blue Submit Confirm / Reject button. The players you selected are now confirmed. How do I build teams and add players/coaches to them? How do I get the red button next to the coach name to turn green? Leagues verify coaches. Because Ohio South does not require coaches to submit a birth certificate, the Stack system will never show them as fully verified (meaning the red button will never change) automatically. 1. Have a cleared background check (denoted by RMA Status in Stack). 2. Have a valid headshot photo (150x200 px or 300x400 px). 3. Have a valid concussion certificate uploaded. Other league members of Ohio South may have other requirements for coaches before they are cleared, such as a coach license. Please contact the appropriate league if you have questions about what is required. Leagues will verify that your coaches meet the requirements. When your team is approved, your coaches are approved (and can be carded). After league approval, you can click on a coach name to get to their profile, then click the Member Account button beneath the photo. Scroll down to Member Settings and check the Age/ID Verified box. Click Update. Why can't I assign a coach to a team? If your coach has registered but not cleared their background check yet, they cannot be assigned to a team. Once your coach clears their background check, they will be available to be assigned to a team. How can I see that my coaches are Risk cleared (completed background check)? 1. Click your event (green calendar level). 2. Find Reports at the top right and click it. 4. Under the box called Display Items, in the left box, click first name and select the arrow in the middle section pointing to the right to move it over. Do the same thing for last name and RMA Status (you have to scroll down to find this towards the bottom). 5. Scroll all the way down and select Run Report. It will pop up in a new window. You can download this into an excel spreadsheet if you want using the Download button on that window. How do I register to a league? This is a two step process; affiliation then registration. First, click on a team in your builder tree (far left column). Affiliation is the system simply asking you the question, "Who do you want to do your carding for the season?". This is done by selecting a team in your tree builder (far left column) and clicking the blue Request Team Activation button towards the bottom (right above the assigned coaches). This is an automatic process, meaning that when you select the correct league they will automatically get your request to card through them. Leagues will then be required to approve your team (after they have verified players and coaches). Once approved, the blue Register For A League Or Tournament button will become available. This sits right below the Team Settings & Information box and right above the Team Connect box. To register and submit payment to the leagues (if they have set this up), click this button. From the League and Tournament Directory, please select the correct league for the team. Click the Register Now button with the green checkmark. You will run through the league registration they have established, which usually follows an order similar to Team Information > Confirm Players > Review > Payment > Receipt. Then you're done. Note that you will be held up at the Confirm Players/Registrants page if your players have not been verified by the league. What is the safety certificate and abuse prevention upload for coaches? How do I add team managers and/or give my coach the ability to view the team? There are two ways this can be done; through adding them as a User or via the Team Connect app. If you would like to add an admin or coach as a User to only their team, please note they will always need to login to the 'yourclub'.osysalive.com/sam site and can edit a player account. 1. Click the team on your builder tree (the column to the far left with your event). This is critical - if you select another location in your tree that is not their team, then they will be able to see all the information there. 2. Find Admin > Users at the top right. 3. Add the coach as a User, making sure you use their same email they used during coach registration. 4. Assign User Permissions. A guide to these can be found here. 2. Click on the parent who will be playing the Team Admin role. 3. When their 'profile' opens find the Edit button (kind of top right). 4. Right below the photo will be a box that says Parent, but can open a dropdown. 5. Select Team Parent from the dropdown. This person now has the same privileges as the coach to communicate and add to the schedule inside Team Connect. They could also print a roster if they really tried, and there is no way to prevent that - we asked. However, printing the roster is not intuitive. What is the process for guest players/Out of State players? This process is not changing, and will be handled as in seasons past with paper forms. How secure is the US Soccer Connect system? When should I clear the cache? What is the preferred browser? Google Chrome and Firefox are the suggested browsers. Images/files may get cached on web browsers but with constant updates to the system, a "refresh" is needed. If needed, try to clear cache and refresh. If an issue continues to occur, then contact Stack support. My parents can only upload one photo for their player in the Member Account. Can they do more? This is a setting that needs to be enabled on your end. This is done by going to Admin > Preferences > Member Account Settings. Our understanding is that the photo locks once the player is approved by the league. Name, Email, Member Photo Uploaded, and Birth Certificate/Document ID Uploaded. Add filters Member Photo Uploaded equal to No and/or Birth Certificate/Document ID Uploaded equal to No. Run report and click Email All. Where can I print player forms, including Lindsay's Law and Medical Release? Scroll down and find 'Print Medical Release Forms For Team Roster'. Click it. PDF downloads. Underneath photo, click button that says 'Registrant Printable Form'.